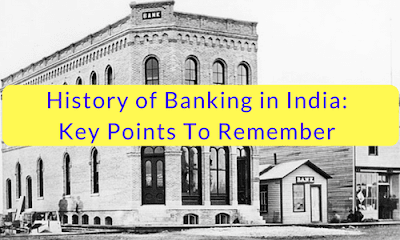 Banking in India has a very long history starting from the late 18 th century. The origin of modern banking started from 1770 in the name of “Bank of Hindustan” by English agency ‘House of Alexander & Co’ in Kolkatta however it was closed in 1832. Further in 1786 “General Bank of India” was started and it failed in 1791. These three presidency banks were re-organized and amalgamated to form a single entity named “Imperial Bank Of India” on 27 th January ,1927. It was later transformed into “State Bank Of India” in 1955. Allahabad Bank was established in 1865 at Allahabad(Uttar Pradesh). It is the oldest joint stock bank of our country functioning till today. Oudh Commercial Bank was established in 1881 at Faizabad(Uttar Pradesh).It is the First limited liability Bank in India and also first joint stock bank by Indians.However it failed in 1958. Punjab National Bank was established in 1895 at Lahore(pakistan) and it was also the first bank to be managed solely by Indians. RBI was established on 1st April ,1935 in accordance with the provisions of the RBI act,1934. It was established under the recommendations of the“Hilton Young Commission”also known as “Royal Commission On Indian Currency And Finance”. Initially it was setup in Calcutta and permanently moved to Mumbai in 1937. Initially the RBI was started with private share holder’s fully paid up capital of Rs.5 crores. It also acted as central banking institute for Mynmar till 1948 and till 1947 for Pakistan. The RBI was nationalized on 1st January, 1949 in accordance with the RBI(Transfer to Public Ownership)act,1948. It empowered RBI to act as central banking institution to control monetary policy of Indian Rupee and to control,regulate,monitor,inspect banks in the country as mentioned in the 2nd schedule of RBI act1934. Deposit Insurance and Credit Guarantee Coporation(DICGC)was set up in 1978. National Agriculture and Rural Development Bank(NABARD) was set up in 1982. National Housing Bank was set up on 1988. Bharatiya Reserve Bank Note Mudran Private Limited(BRBNMPL) was set up in 1995. The State Bank Of India was formerly known as “Imperial Bank Of India” during the British rule. It was established on 1st July,1955 under the recommendations of “Gorwala committee”. It was nationalized on 2nd June,1956 with majority of its share taken by the Government of India. The SBI acts as an agent where the Reserve Bank Of India has no branch offices. It has 5 associate banks,State Bank of Bikaner & Jaipur, Hyderabad, Mysore, Patiala and Travancore.